Congratulations on wanting to form your own business in Virginia! Entrepreneurship is the surest way to use your own talents to improve society while growing wealth. 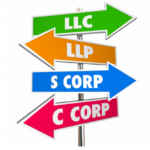 Starting a business in Arlington is regulated by multiple levels of government. It is irresponsible (and illegal!) to operate a business without following those laws and regulations. It is not difficult to get the ball rolling, but there are many considerations and forms to address. So it is wise to get the basic decisions and legal steps out of the way well before you want to start doing business. That way, when an opportunity for your business idea presents itself, you are ready to pounce on it! Here are six issues that are important to understand before starting your company in Arlington.